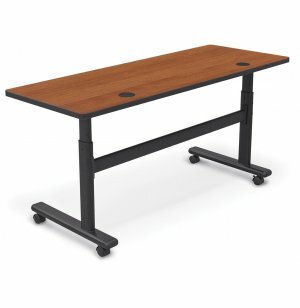 Looking for a training table that can fit in anywhere? 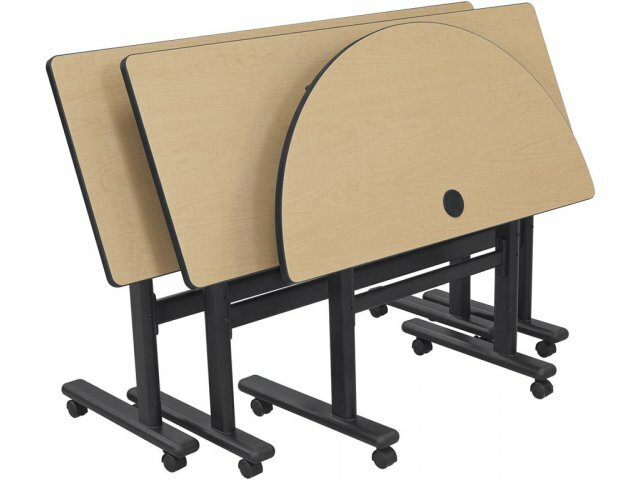 These flipper tables are equally at home in a professional-development session and a school computer room. 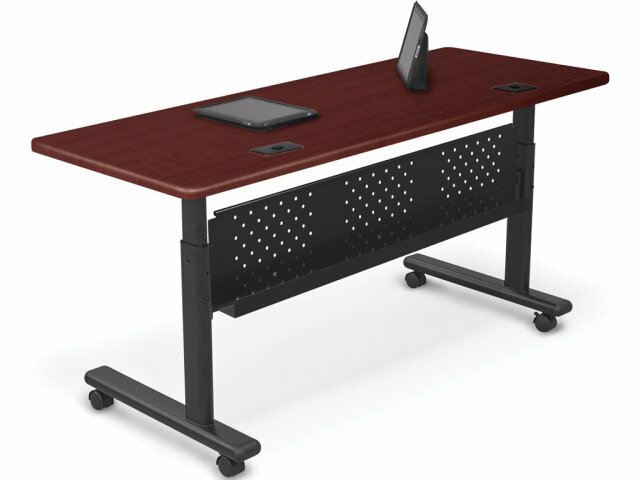 Enjoy the versatility of unlimited applications with sit-to-stand Flipper Seminar Tables from Balt. 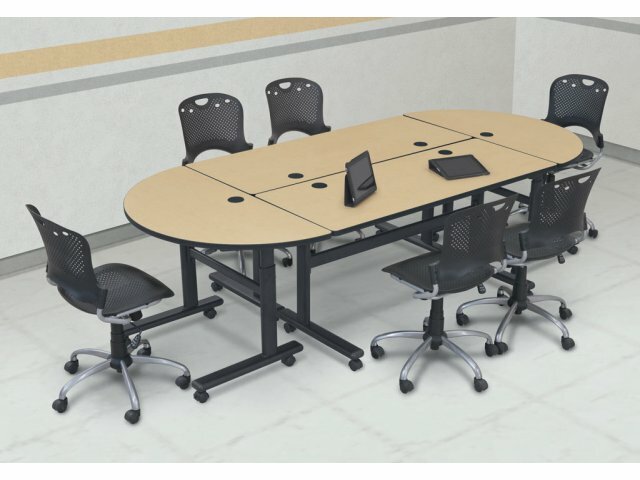 These height-adjustable training room tables accommodate a range of ages, sizes and configurations, making them the most flexible tables on the market. Professionals can set the training tables at a comfortable sitting height for a training seminar setting or in a stand-up arrangement to create business plans or prepare presentations. Want to make sure that everyone in the room has an unobstructed view of the speaker and slideshow? 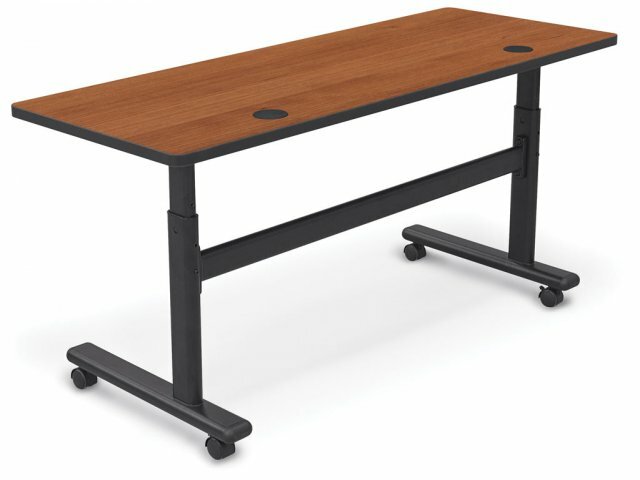 The wide range of these adjustable seminar tables lets you create a stadium venue with graduated heights for better viewing so all instructional sessions can be fully absorbed and appreciated. Balt training tables take convenience to the next level. Their one-hand fold-down mechanism and 2" casters make transport and storage easier than ever. 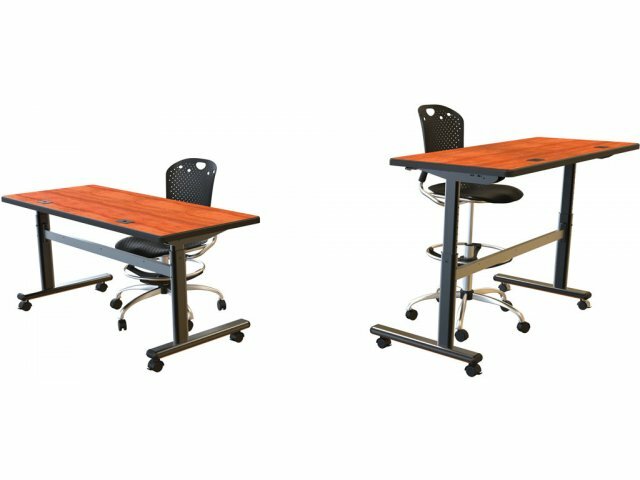 Unbeatable Flexibility: Tables adjust from 28 1/2" to 45" high to accommodate sitting or standing, various sizes and ages, and stadium-style seating. 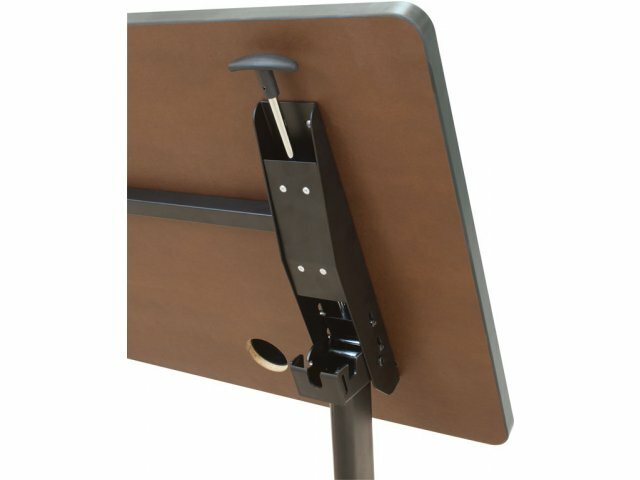 Easy Flip: Tops flip down with a simple one-handed lever mechanism to allow for easy transport and nesting for compact storage. 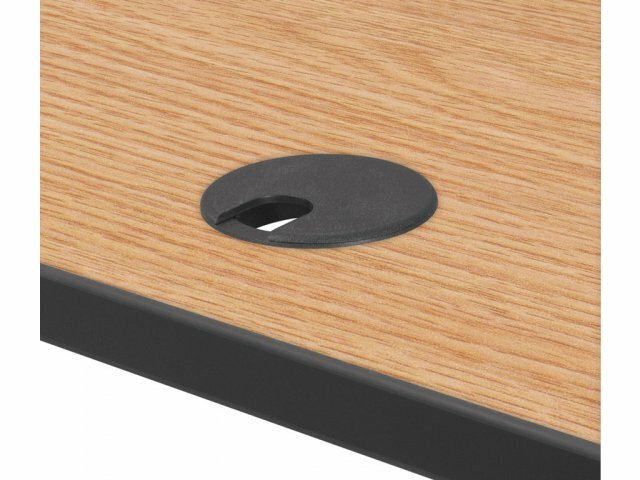 HPL Advantage: The 1" thick high-pressure laminate tabletops are much stronger than standard laminate. 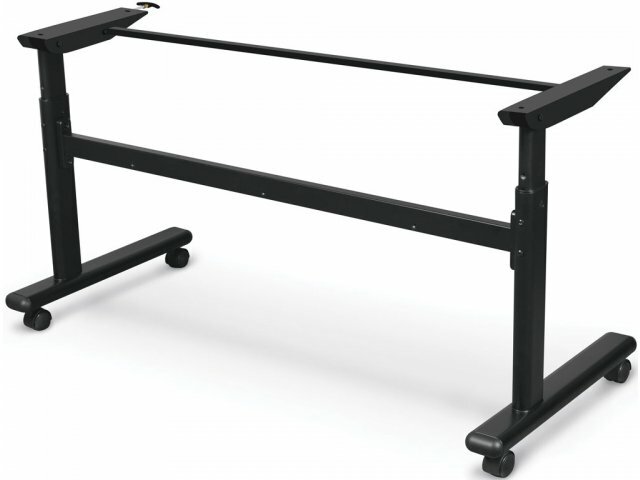 Reinforced Stability: The black powder-coated steel frame includes a stabilizing stretcher bar. Highly Portable: Roll into position on 2" locking casters, making transport easier than ever. Strong Table: Tested to support up to 300 lbs. Versatile Arrangement: Use individually or create conference tables by putting two together and adding the half-round end pieces.